The British newspaper the Independent offers a piece on a police crackdown on the Ndrangheta organized crime organization. Police have arrest around 90 suspected mafia members in a series of coordinated raids in four European countries. 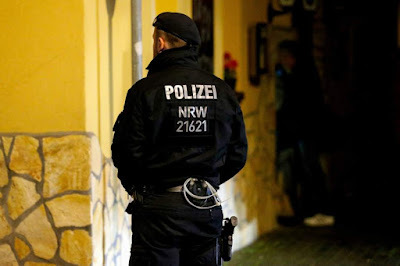 Authorities in Germany, Italy, Belgium and the Netherlands launched the raids on Wednesday against the Ndrangheta criminal group. The suspected mafioso are believed to be involved in cocaine trafficking, money laundering, violence and bribery, said Eurojust, the EU agency that coordinates cross-border crime fighting.